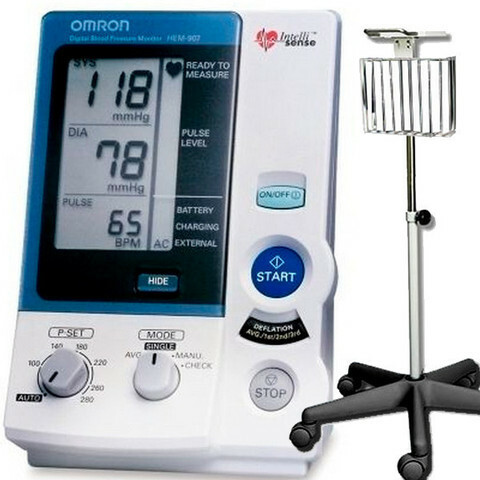 The digital model HEM-907 professional blood pressure monitor from Omron is non-invasive and engineered for accuracy, precision, and clinical effectiveness. The HEM-907 is mobile, fast and easy-to-use, and extremely versatile. There is also an optional rechargeable battery pack for true portability. Also Available (see below): Wall Mounting and Pole Mounting Kits. Designed for professional use in a clinical setting. AVERAGE Mode measures up to three readings and averages the total for a more accurate diagnosis. Auto cuff pressure control for manual (auscultatory) measurement. 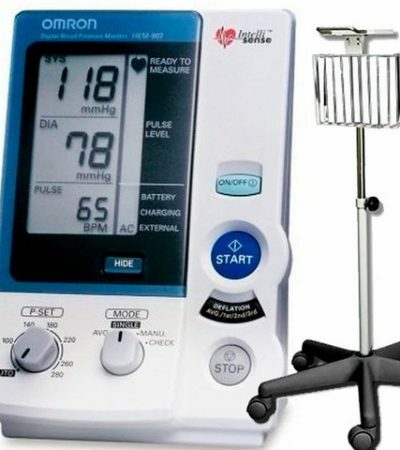 Oscillatory and Auscultatory measurement option. One-button operation for quick and easy measurements.